This winter has been very mild and there hasn't been much snow at all. Yesterday we finally got a good snowfall. Now the cars are slipping and sliding around the mountainous city because no one bothers to get winter tires. 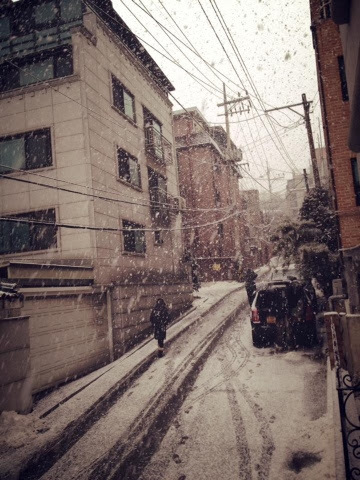 When does WInter usually end in Korea? And are there special activities or foods that come during winter there? Ill be visiting korea on april (2nd week) please advice me what to wear.